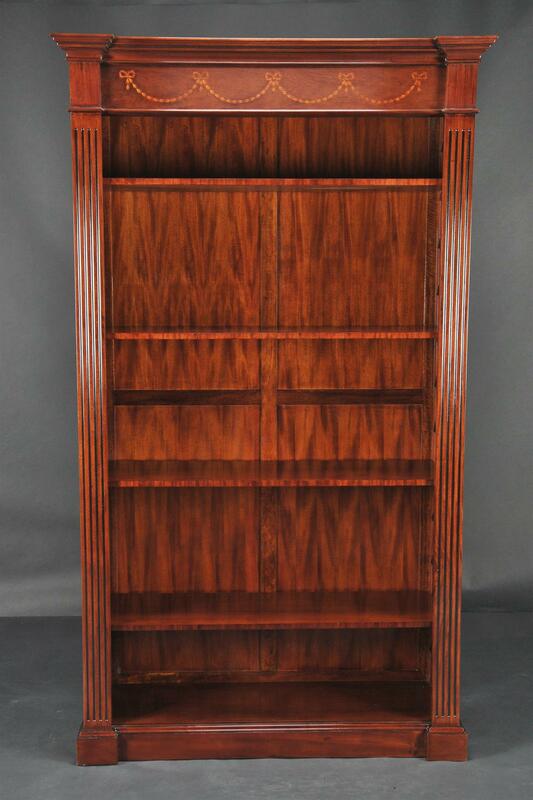 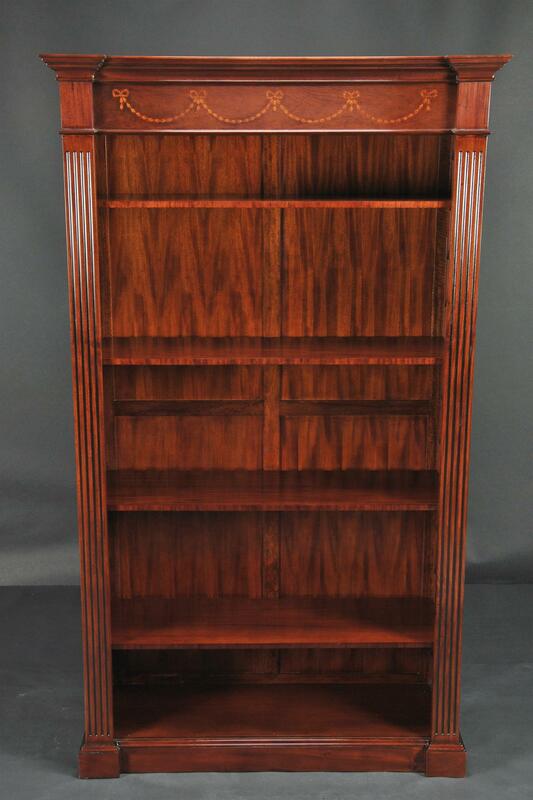 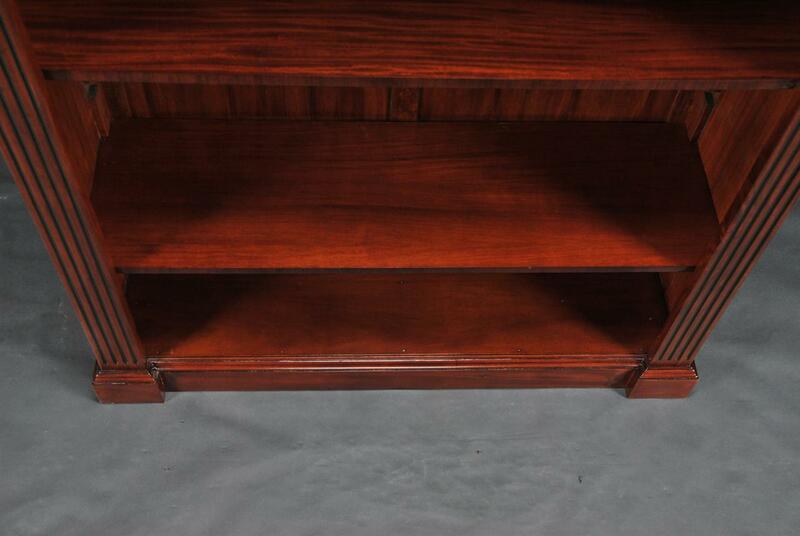 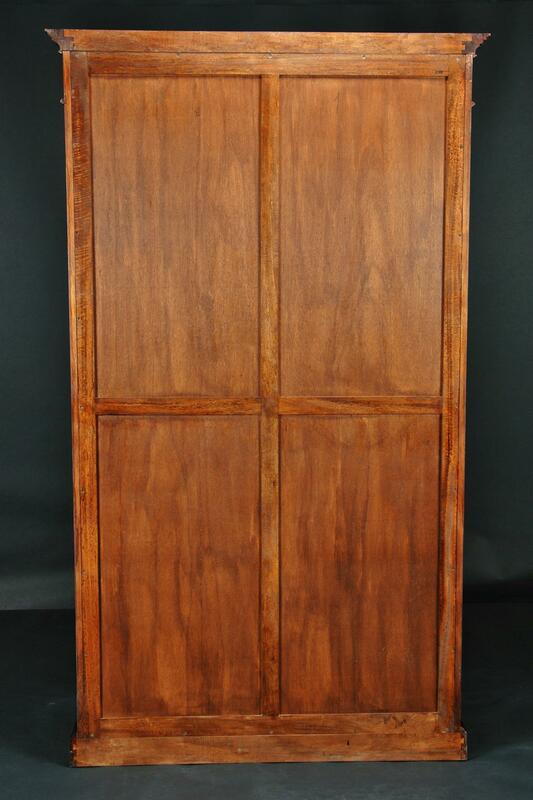 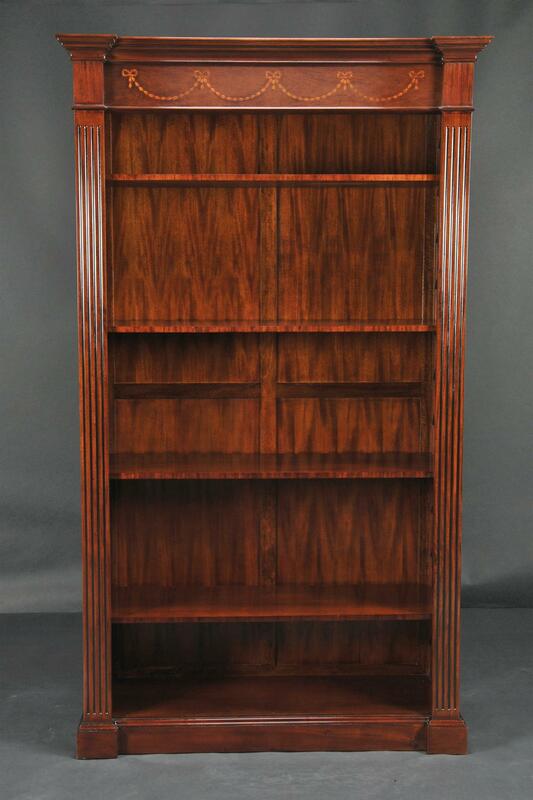 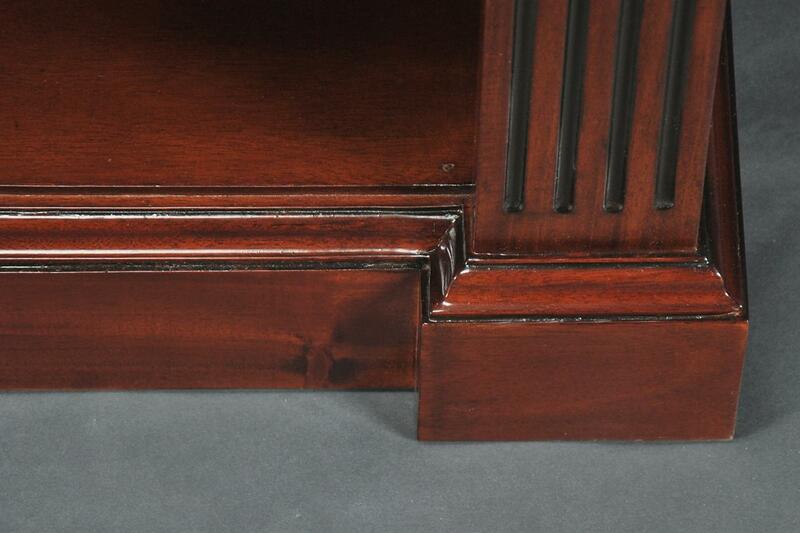 Description: Great size mahogany bookcase with four adjustable shelves. 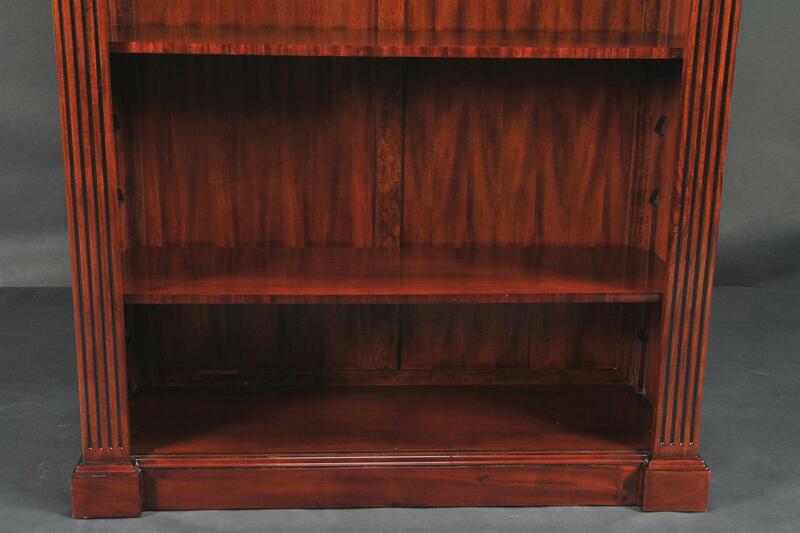 Ideal in the office at work but can also be used in the home to showcase your fine books and other collectables. 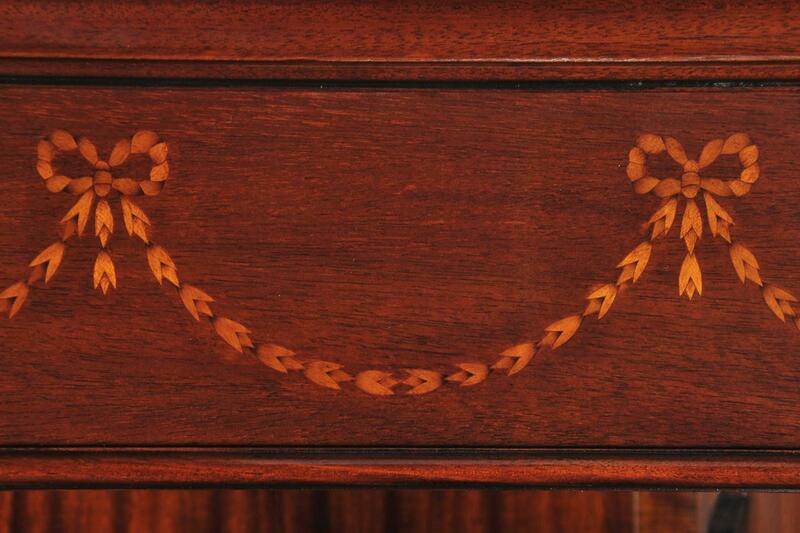 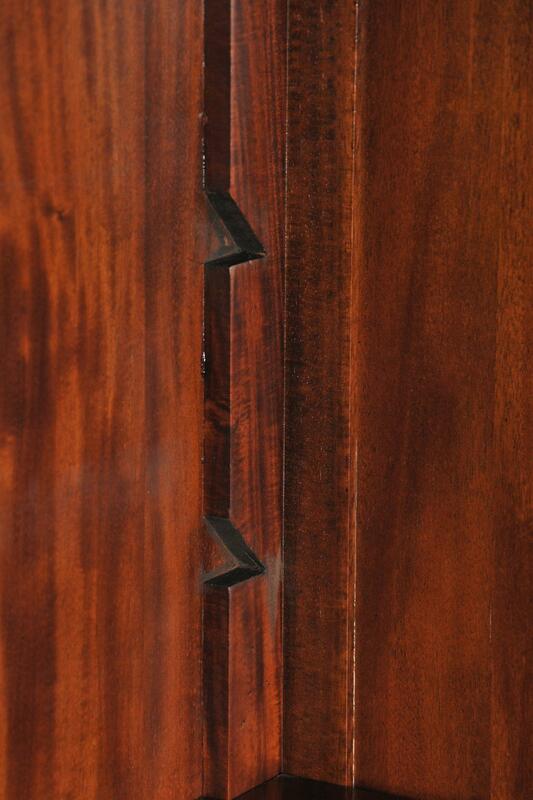 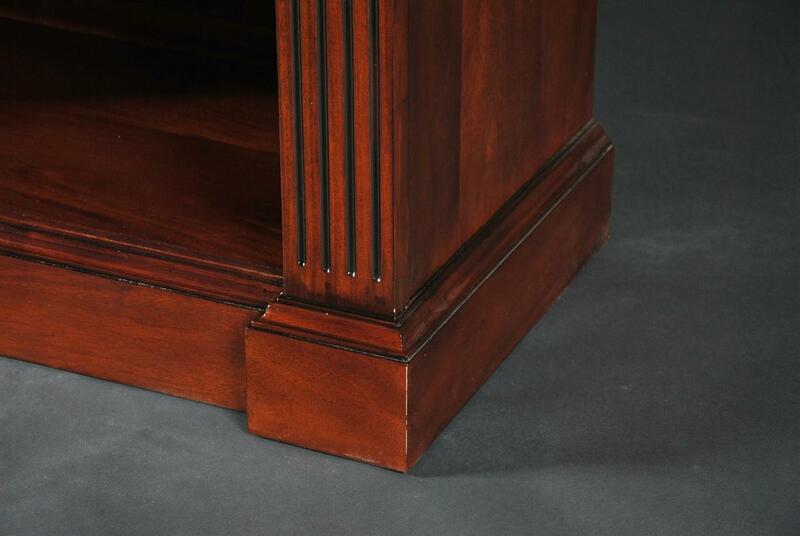 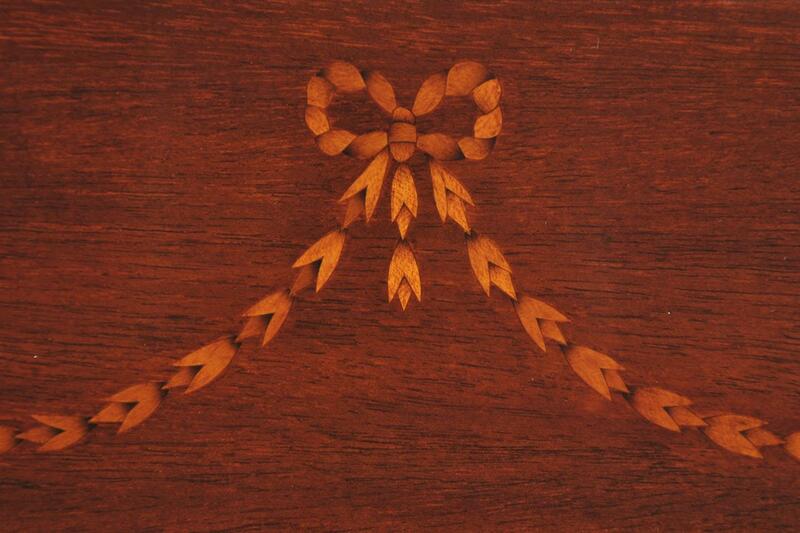 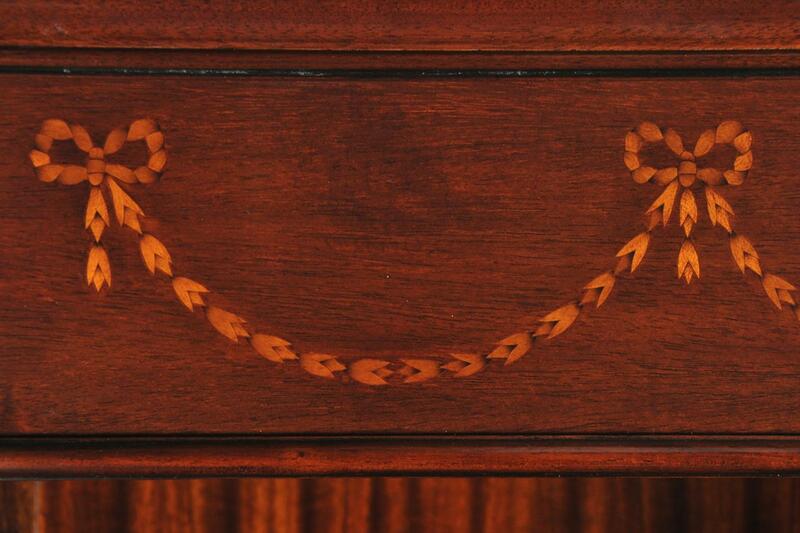 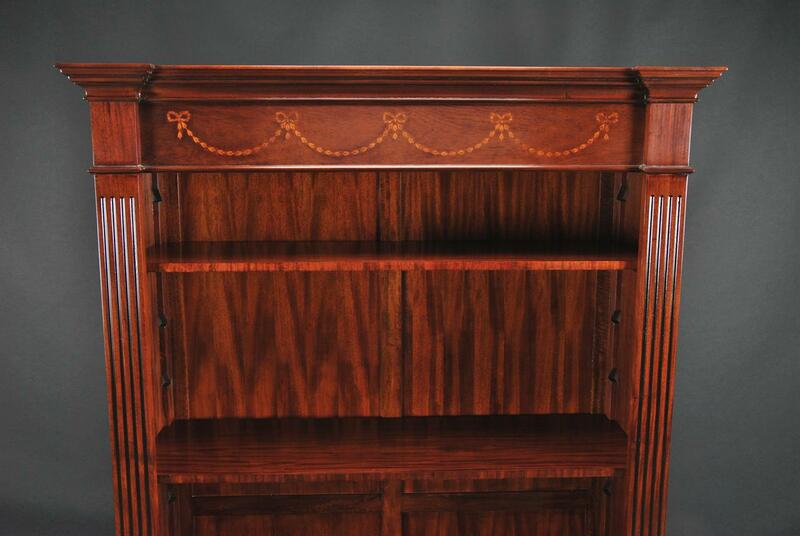 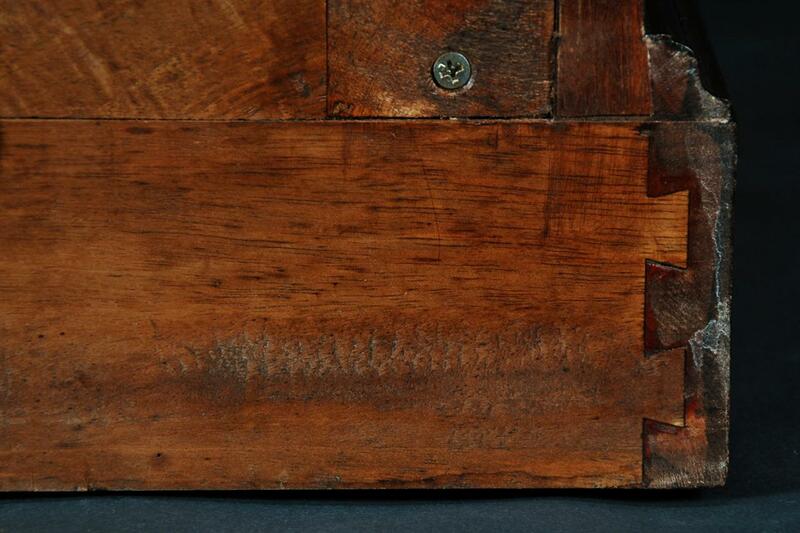 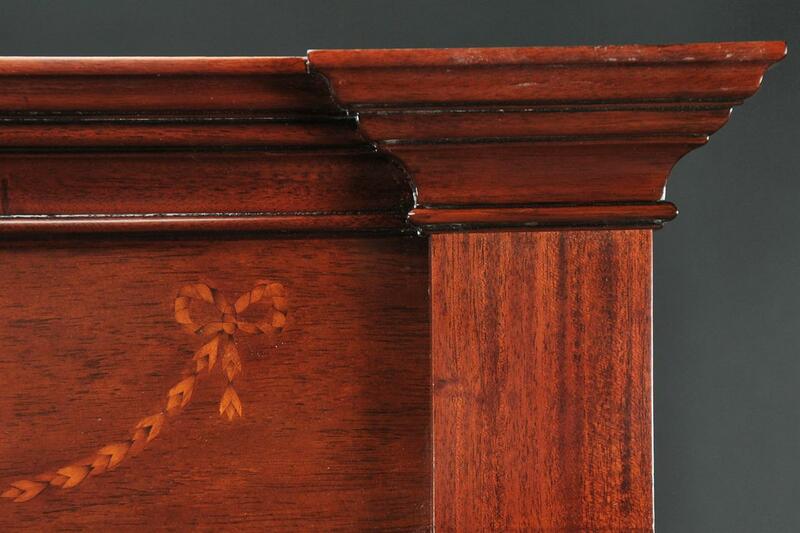 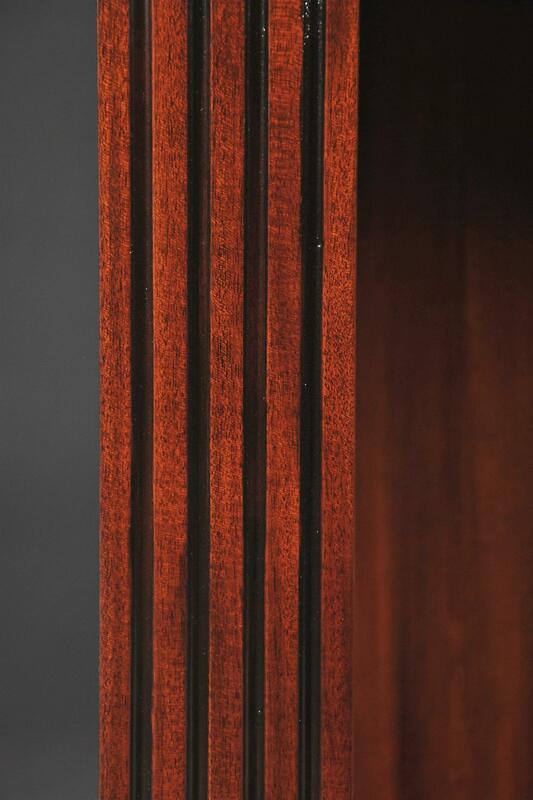 Top face of the bookcase is decorated with hand cut satinwood inlays in a hanging drape motif. 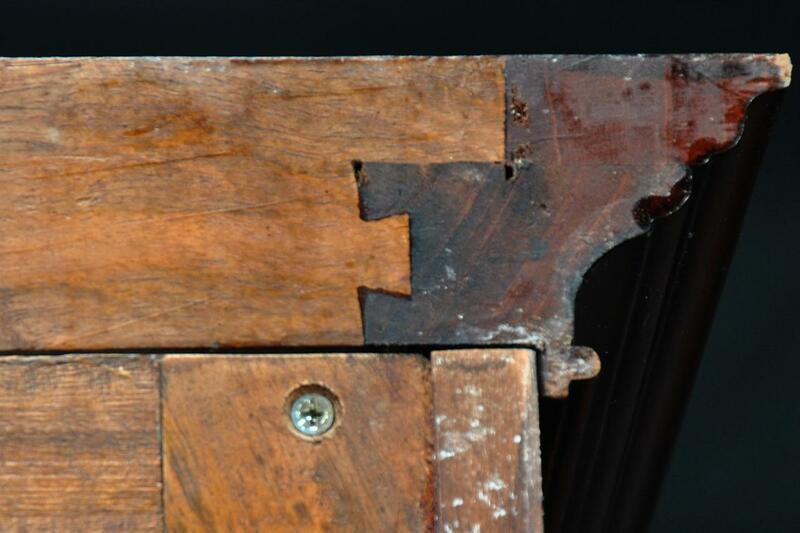 One piece construction makes it stable and solid.